BVC had been asked to assist with the collection and containment of Fumed Silica. Fumed silica is made from flame pyrolysis of silicon tetrachloride or from quartz sand vaporized in a 3000 °C electric arc. Fumed silica serves as a universal thickening agent and an anticaking agent (free-flow agent) in powders. 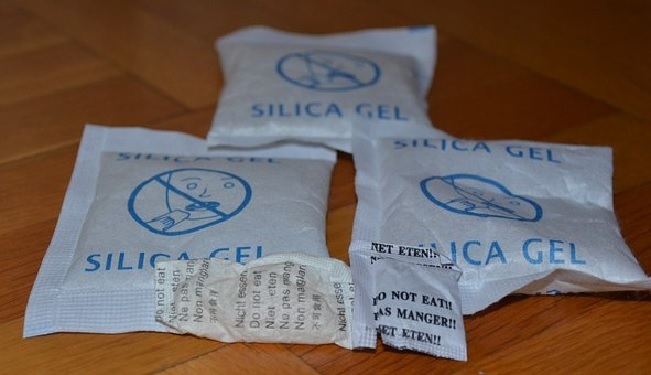 Like silica gel, it serves as a desiccant. It is used in cosmetics for its light-diffusing properties. It is used as a light abrasive, in products like toothpaste. Other uses include filler in silicone elastomer and viscosity adjustment in paints, coatings, printing inks, adhesives and unsaturated polyester resins. It is also used in the production of cat litter box filler and as a core material in the production of vacuum insulated panels. Also known as pyrogenic silica because it is produced in a flame, it consists of microscopic droplets of amorphous silica fused into branched, chainlike, three-dimensional secondary particles which then agglomerate into tertiary particles. The resulting powder has an extremely low bulk density and high surface area. Its three-dimensional structure results in viscosity-increasing, thixotropic behaviour when used as a thickener or reinforcing filler. Due to the structure and low bulk density of the material the customer had been experiencing blinding of filters in vacuum units and motors overheating, causing the units to shut down.BVC were able to address this issue by using our IV40 industrial vacuum cleaner. 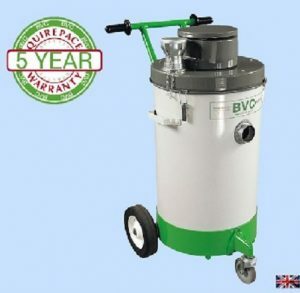 The IV40 offers excellent levels of filtration and protection due to its superior filtration system.Product is first collected in to a microporous bag, then the filter bag with large surface area provides secondary filtration, and finally the H14 HEPA filter which collects 99.995% of particles at the MPPS (Most Penetrating Particle Size). This construction ensures product stays in the vacuum whilst the airflow required by the motor is protected to greatly reduce the chance of the motor overheating. After 1 year the vacuums were working so well, a further order was placed to extend the use of the vacuums throughout the entire factory complex.